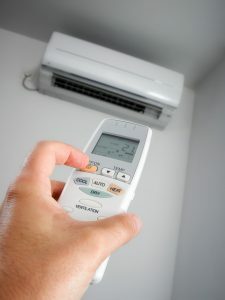 Is Your AC System Beyond Repair? Consider This Replacement | AllTech Services, Inc.
First, What Is A Ductless System? As the name implies, a ductless system is an HVAC system that doesn’t rely on a network of ducts to do its job. Rather, it uses a single outdoor condenser unit, connected via refrigerant lines to air handlers that are installed throughout the home. A ductless system works similarly to an air conditioner, transferring heat from one place to another. There is a reversing valve that switches the flow of refrigerant, allowing for summertime cooling and wintertime heating. To cool your home, heat is absorbed from the indoors and moved outside. To heat the home, heat is absorbed from outside and moved inside. Ductless systems are two-in-one HVAC systems capable of both cooling and heating your home for ultimate comfort. Just by flipping a switch, the system can go from cooling mode to heating mode, and vice-versa. Installing ducts can be a difficult and expensive undertaking, depending on the layout of your home. Some homes may not have a lot of space for ductwork, so going ductless can be a fantastic alternative. Having a ductless system installed is less invasive than alternative HVAC systems, and can be completed in as little as a day. There’s no need for you to worry about servicing two different HVAC systems. When you go ductless, you don’t have to worry about getting repairs and maintenance for two separate systems. Though, we do want to stress that since a ductless system operates on year-round heat pump technology, you do want to schedule maintenance twice a year. Ductless systems operate on less power than other systems, simply due to their small size. Additionally, homeowners ultimate control over the temperature of the air going into each room, therefore boosting efficiency. Also, since ductless systems are, well, ductless, they avoid the energy losses associated with ductwork leaks. A breach in your forced-air system’s ducts can account for more than 30% of energy waste. A ductless system can save you a ton of money on your utility bills! When you need professional AC repair in Fairfax, VA, look no further than AllTech Services, Inc. Contact us today!